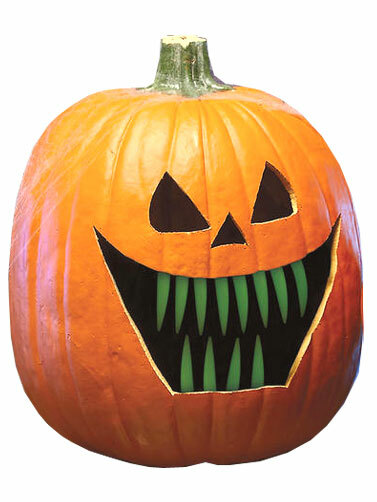 Large Glow In Dark Pumpkin Fang Teeth will put the bite into your jack-o-lantern this Halloween. 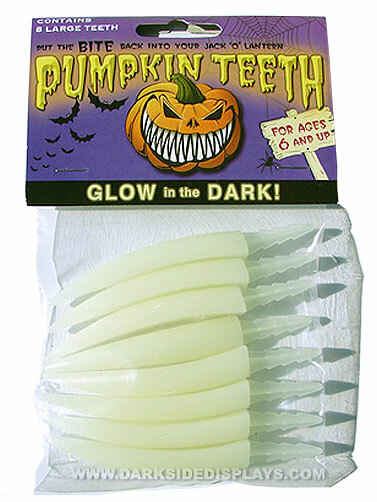 Package includes eight glow in the dark plastic fangs to use as teeth in your Halloween pumpkin. Easy to use, simply screw the teeth into your pumpkin. Large Pumpkin Fang Teeth measure approx 3"L. 8 pc.